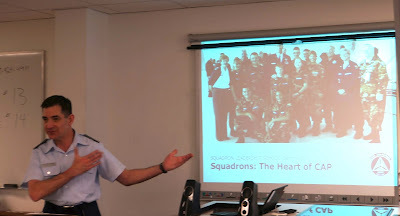 This blog posting is largely taken from a press release written by Lt Col Andrew Peters, with additional information provided by 1st Lt Tim Roberts and 2d Lt Alexei Roudnev. 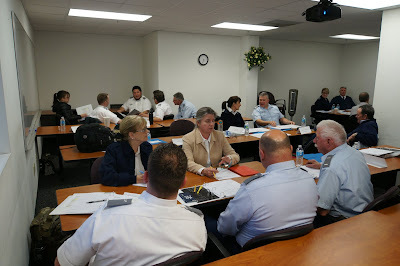 Photos by Lt Roudnev. During the weekend of January 14th and 15th, 2017 at Travis Air Force Base in Fairfield, California, Thirty Four (34) Civil Air Patrol (CAP) Officers from all over Northern California participated in a Squadron Leadership School (SLS) and Corporate Learning Course (CLC). 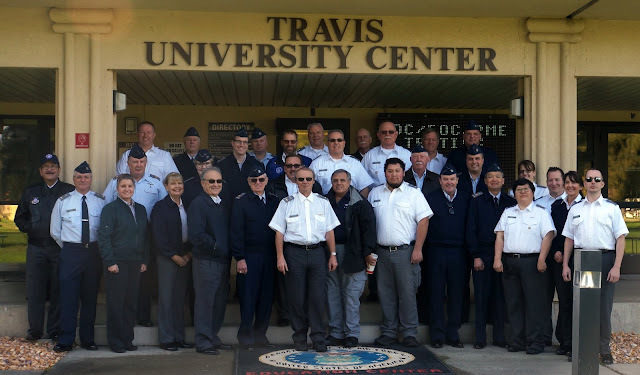 While all these volunteer individuals hailed from areas from Redding to Santa Cruz, all of them were engrossed in learning how their local units and national CAP organization functions as a cohesive unit to complete the CAP missions serving as dedicated citizens in their communities. The SLS is the first classroom-based level of the CAP professional development program where a member begins to learn new technical skills and gain new experiences through networking. 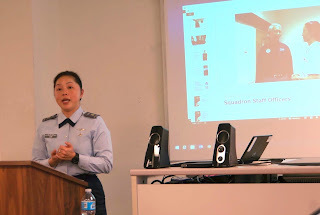 The SLS concentrates on teaching relatively new officers CAP history, organization, mission, basic military customs and courtesies, effective communications skills, introductory leadership, and the role of the squadron in the CAP organizational structure. 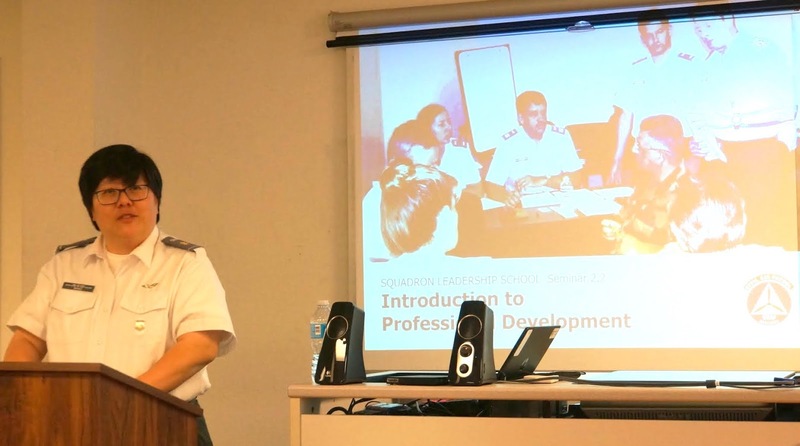 The course provides officers with insight into being an effective staff officer/team member within their local squadron unit by emphasizing hands-on activities and discussion. 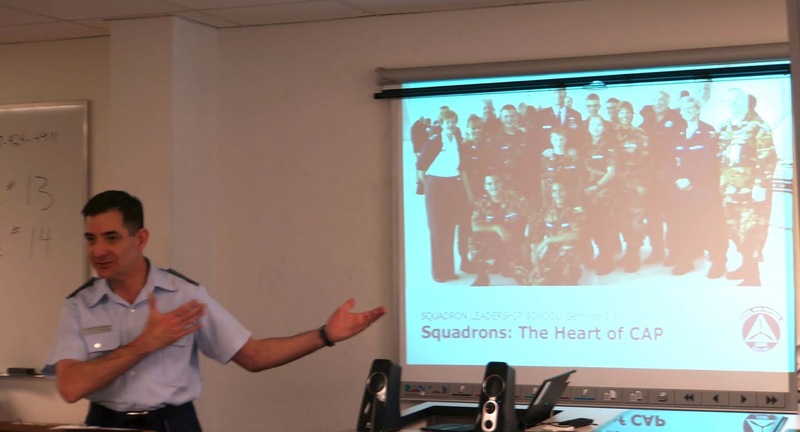 The CLC is designed to develop a member's experience and expertise beyond working within a local squadron unit to eventually commanding a squadron or working at the group and/or wing level. The CLC is a program which is the next step in officership advancement by working in a team-based environment, comprehending the role of CAP at the wing level, and working within higher levels of the chain of command. 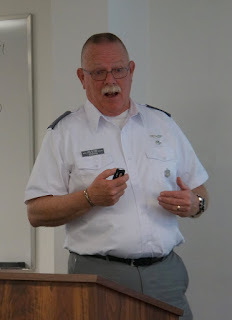 The course provides mid-level officers, First Lieutenants and Captains, with the tools needed to interact at higher-level CAP echelons, and to begin to take on state-wide responsibilities. CAP is a federally chartered non-profit corporation which is the official auxiliary of the United States Air Force. Congress chartered CAP to perform certain duties for individual communities and for the nation. 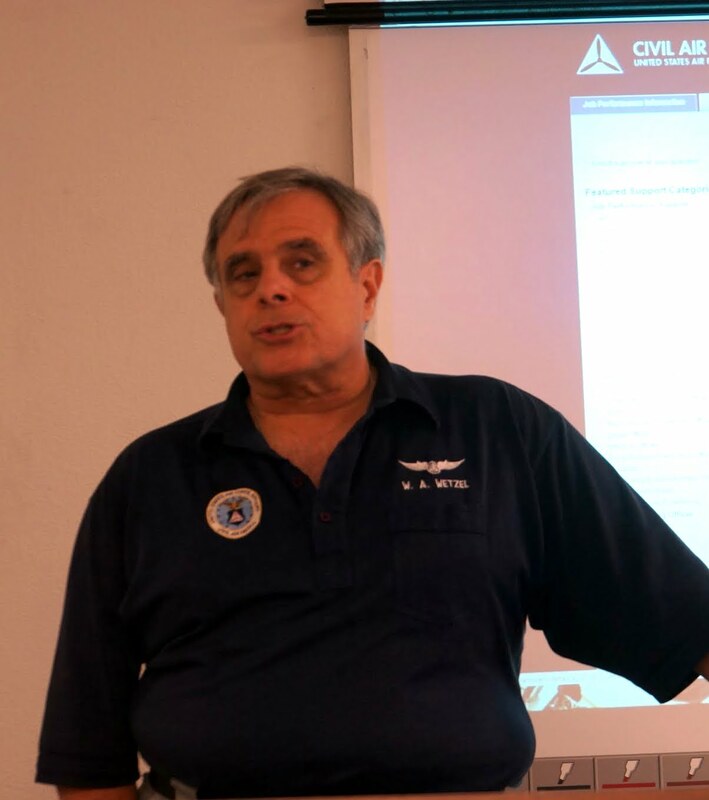 To accomplish its mission, CAP requires an informed, active membership trained in leadership, management, and functional tasks. The CAP Professional Development Program prepares members to serve their units, their communities, and their nation. Students and Staff Following Successful Completion of the Courses - Congratulations to All!